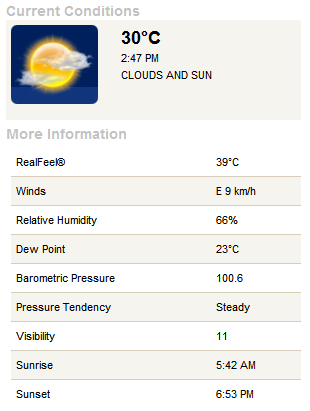 Real feel 39º C…ugh. This calls for ice creams. This entry was posted in Weather and tagged far north queensland, Weather on 2010-12-30 by pete.